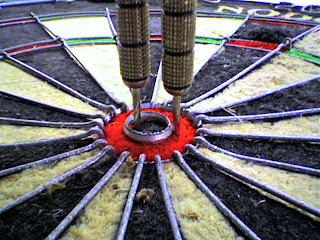 so last night I was playing cricket with a friend and only needed to close the bullseyes – the last two darts I threw were both bullseyes. Thats the first time I hit the bullseye twice in the same turn. I must be improving.